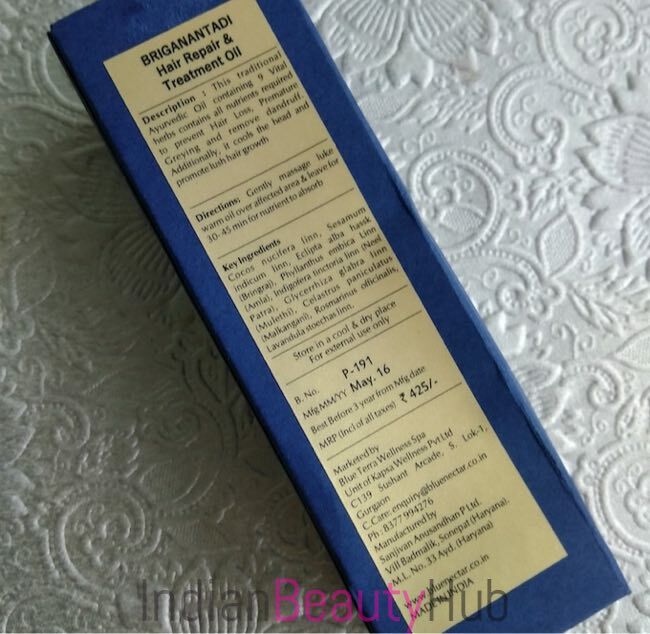 Hey everyone, today I’m reviewing the Blue Nectar Briganantadi Hair Repair & Treatment Oil that was sent to me by the brand for reviewing purpose. I’ve been suffering from dandruff & itchy scalp from past few years. I’ve tried many homemade recipes & cosmetic products in past and some of them worked really well for my hair. I’ve already reviewed the some of the products that are very effective in dandruff control, you can read the reviews here. 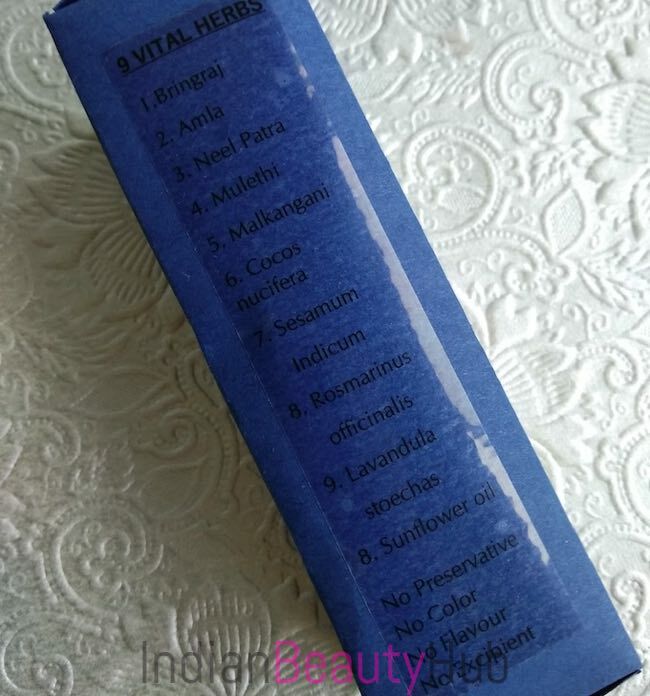 Packaging: Blue Nectar Briganantadi Hair Repair & Treatment Oil comes in a tinted blue plastic bottle with a golden cap. A white plastic stopper is further provided inside the cap to prevent leakage of the oil. Product related important information like its benefit, how to use, active ingredients, price & expiry date is also mentioned on the bottle. 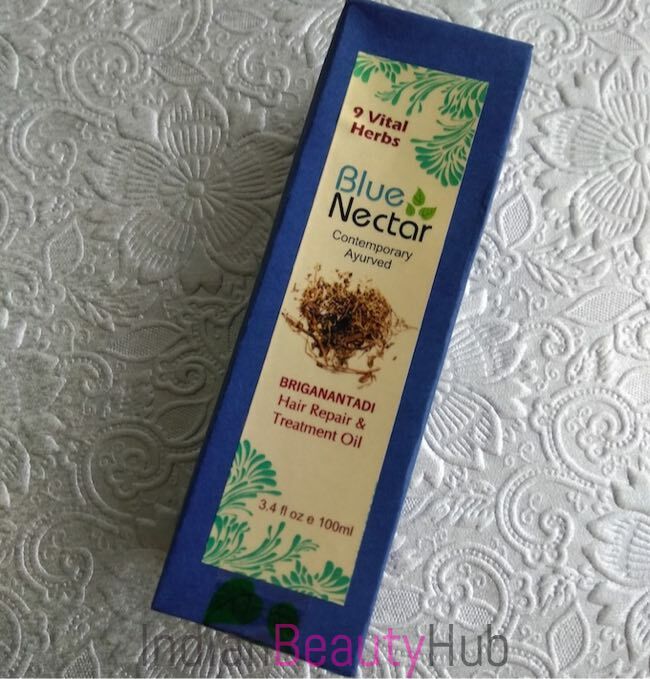 Texture & Fragrance: Blue Nectar Briganantadi Hair Repair & Treatment Oil comes in golden yellow color and has a lightweight texture. 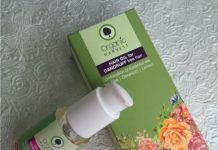 It has an essential oils mix kind of fragrance which is a little strong and it might bother people with sensitive noses. 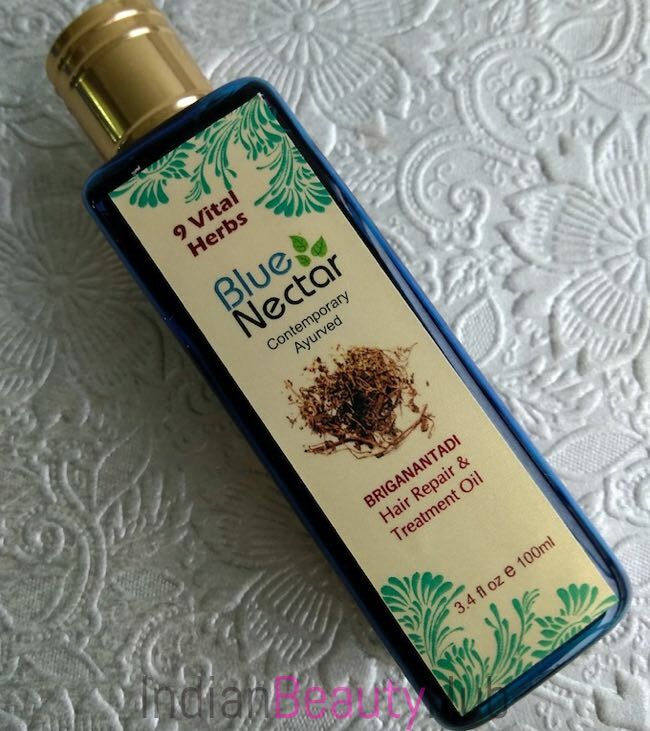 Price & Availability: The price of the Blue Nectar Briganantadi Hair Repair & Treatment Oil is Rs.425 for 100ml and Rs.795 for 200ml. 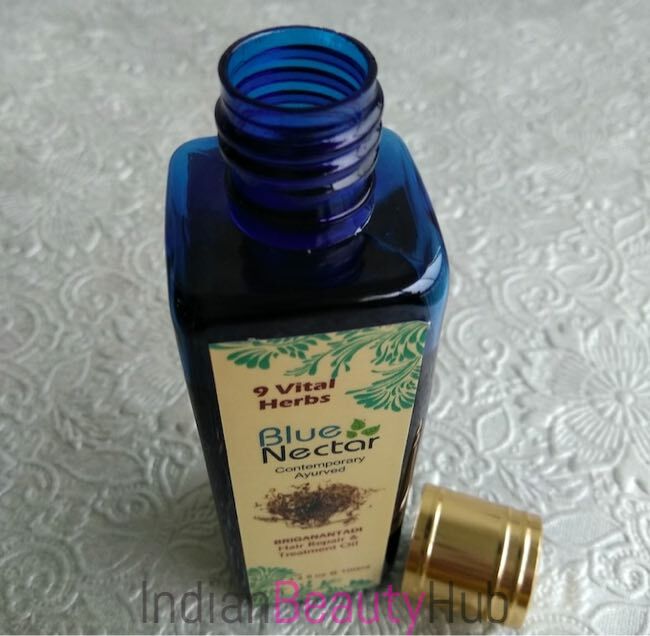 You can buy Blue Nectar products online from Flipkart.com and also from their official website Bluenectar.co.in. 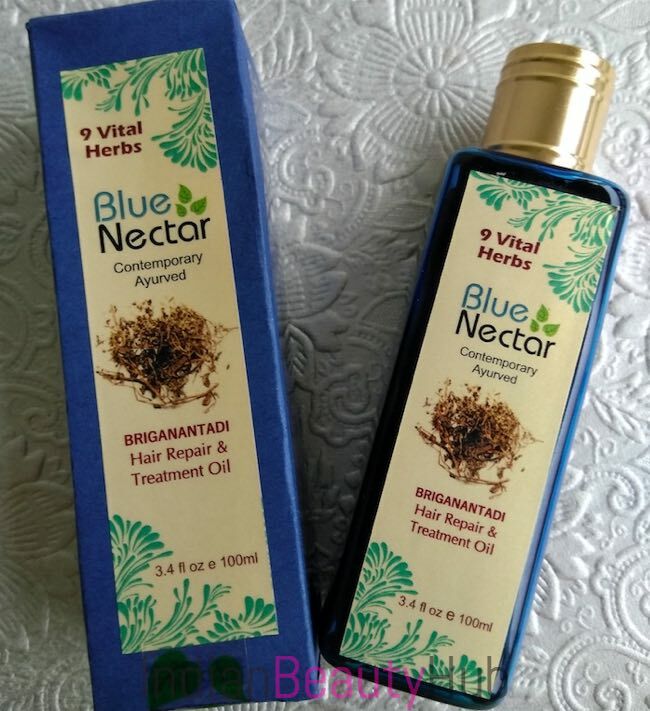 My Experience: Blue Nectar Briganantadi Hair Repair & Treatment Oil is infused with 9 vital herbs that help to prevent premature greying, prevents hair fall and reduce dandruff. Currently, I’m suffering from all of the above 3 hair problems :( So I was very excited to try this hair treatment. I generally take 2 tsp of oil in a bowl and heat it for about a minute then I massage the lukewarm oil on my scalp. It absorbs completely into the scalp with a little massage without giving any uncomfortable sticky feeling. I leave it on for 1-2 hours and then wash my hair as usual. It washes off easily with a mild shampoo and doesn’t leave any residue behind. After using this hair treatment oil for about a month my dandruff is almost gone and it also reduces the hair fall & scalp itching up to a certain extent. I’ll definitely continue using this hair oil once a week to keep my hair & scalp free from dandruff & itching. 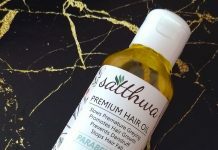 This hair oil is infused with some amazing herbs. It has a light texture and it gets completely absorbed into the scalp. It can be easily washed off with a mild shampoo. 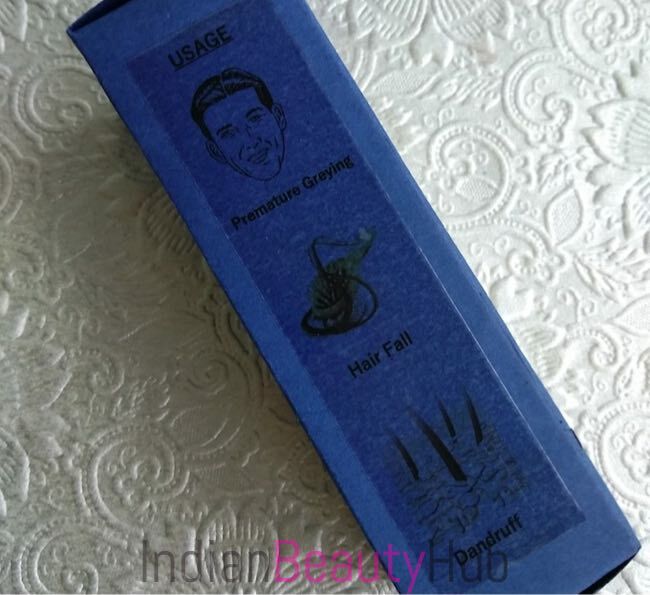 This hair treatment oil is quite effective in reducing dandruff and hair fall. It has an antifungal action that helps cure irritated scalp and thus reduce scalp itching. 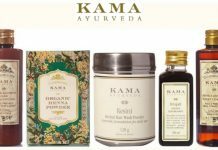 It is an ayurvedic product and is free from harmful chemicals. It is suitable for almost all hair types and is ideal to use by both men & women. I don’t think it is effective in treating the hair that is already grey. It does reduce hair fall up to a certain extent but not completely. 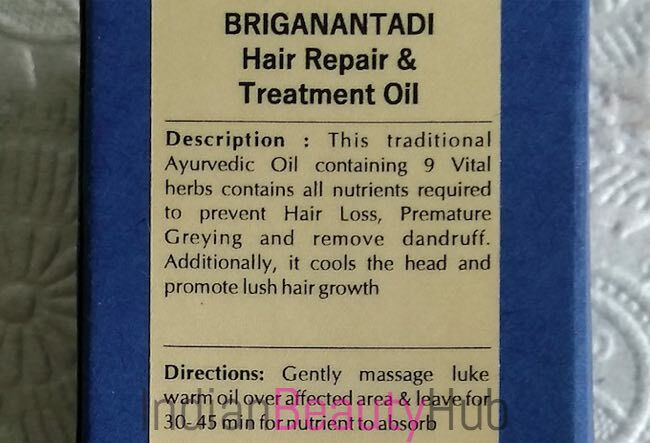 Overall Blue Nectar Briganantadi Hair Repair & Treatment Oil is a pretty good product. It is quite effective in reducing dandruff & hair fall and also helps in curing itchy scalp. It is an herbal mix of 9 vital herbs that will help to eliminate hair problems and promote hair growth. I think it is worth trying this product. Recommended! Hi, I have been looking for an oil for my dandruff. I will surely go for it and will let you know if it works for me too. Thanks. Very informative as always. I have already tried. It has helped to reduce my hairfall as well. Good improvement in texture and overall look. Have you reviewed other products by the same company? Will like to try them as well. I have been using this oil for last 2 months. Tremendous change in my hair texture. I have also avoided winter dandruff so far. I am totally loving it. Hope they come up with their shampoo as well.